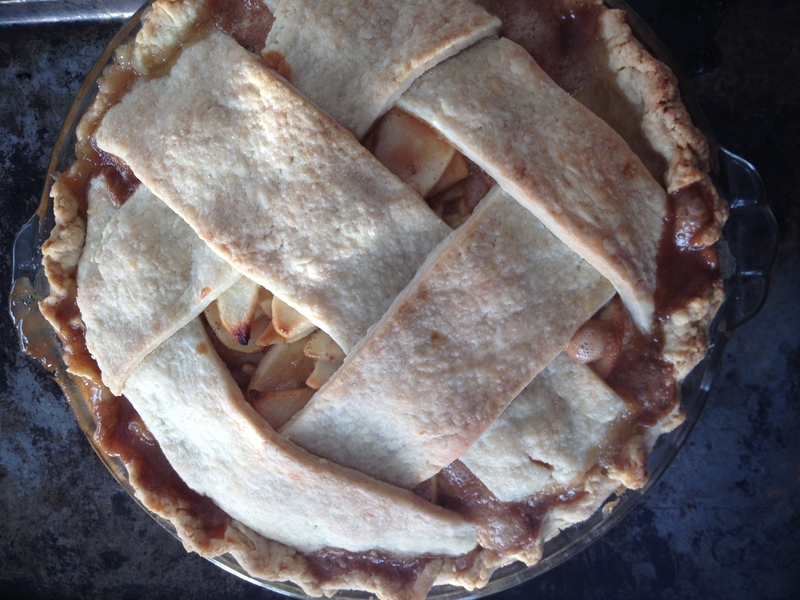 What do fudge, iced coffee, caramel, ice cream, cream liqueurs & pies have in common? Sweetened condensed milk, that’s what. I don’t have a great answer to explain my snootiness about store-bought sweetened condensed milk. It just seems super commercial and over-processed which is not my cup of tea. And, it’s never been a sacrifice. I had no use for it, so it was easy to ignore. But, once I started down the caramel candy, ice cream and cream pies rabbit hole, avoiding sweetened condensed milk began over-complicating my life. The thought my results could be better if I weren’t so stubborn started creeping into my brain. 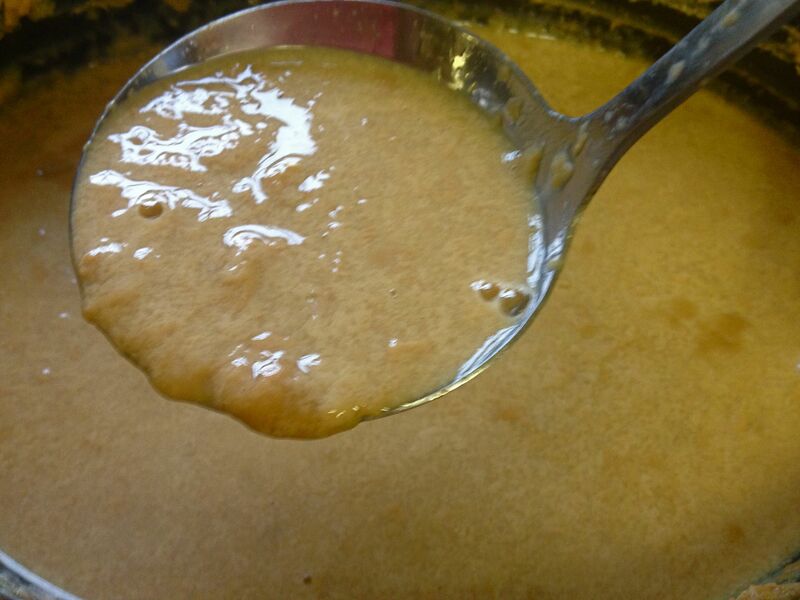 Finally, the Huffington Post pokes me with proof that Sweetened Condensed Milk is the best stuff on earth. UNCLE. I give. How did I not know what an international phenomenon sweetened condensed milk is? And so, this time, I have to admit I may be a little bit wrong. I say a little bit because in my wish to support local farmers, buying Eagle Brand isn’t really part of the solution. But in fairness, the list of ingredients on a can of Eagle Brand is exactly the same as home-made: milk and sugar. And that’s how the idea for this compromise was born. 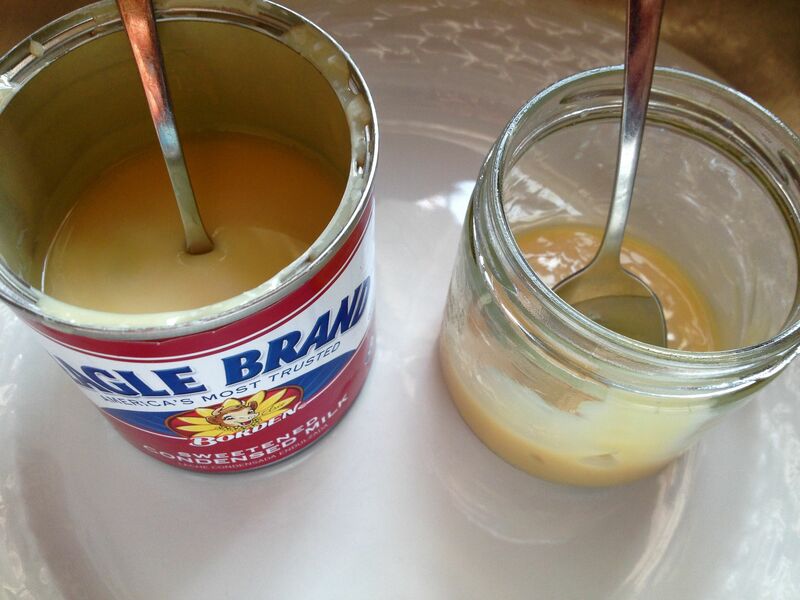 Be warned: homemade sweetened condensed milk is amazing in every way and well worth the time spent. Which, I won’t lie, is considerable so pick a weekend you’re going to be close to home. The recipe is simple – hardly a recipe really. My favorite kind. And, this basic recipe is a springboard for many, many ideas. Honey, maple syrup or maybe apple cider molasses to sweeten? A little cardamom or nutmeg? Chocolate? Hmmm. Maintaining the temperature is truly the single, non-negotiable aspect. Let it get too hot and the milk will form curds. Once that happens, game over, you’re done. Throw it to the pigs and start over because you’ll never get the smooth, creamy, liquid fudge-y texture that makes this stuff so addictive. On the left: shiny, super smooth & dense. On the right: So, so close but I blew it. only about $20 dollars of local honey & milk, no big deal… stick with the cheap ingredients the first time. 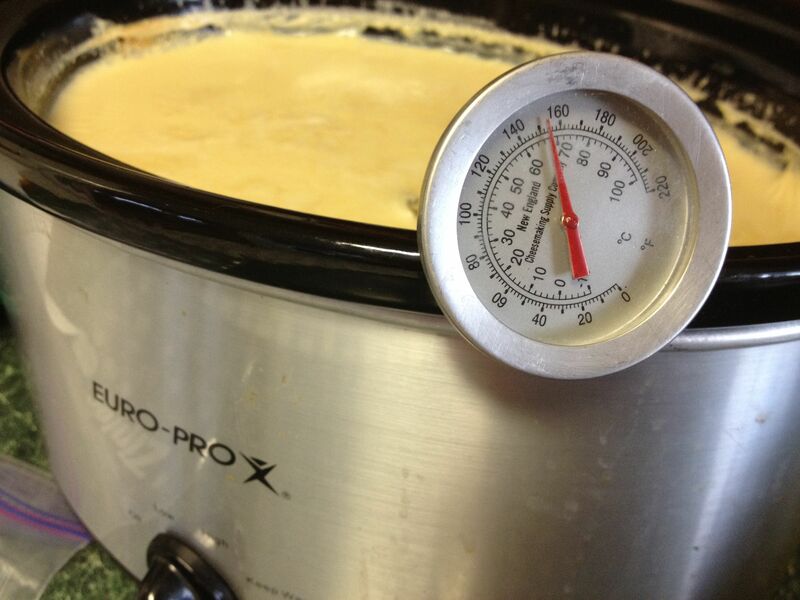 Use a stainless stock pot on the stove set at the lowest temperature or a crock pot with a “keep warm” setting. I prefer the crock pot – by alternating between the Keep Warm and Low settings you can maintain the temperature without fear of scorching and easily put the process on hold when you need a break. To speed things up, I began by heating my milk and sweetener in a covered stock pot on the stove over medium-low heat just until steam rises – pay attention, you don’t want the milk to boil! Transfer your mixture to a crock pot set on Low. Do not cover. A thermometer helps you monitor the temperature: it should remain between 150 – 160 degrees. The milk will reduce to nearly ¼ its original volume. You can use a metal ruler to gauge the reduction by measuring the depth of your liquid at the start, divide by four to guesstimate the final depth then measure throughout the process. 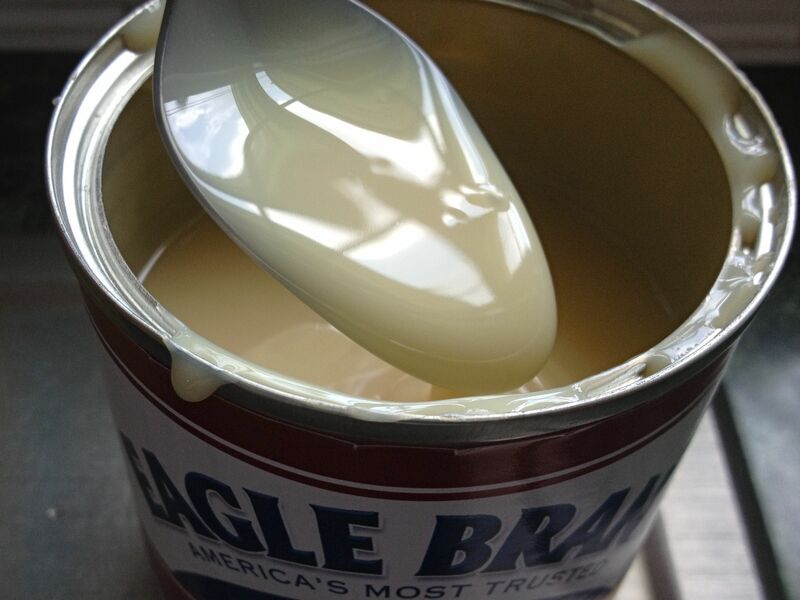 Since I’m not that familiar with sweetened condensed milk, I actually used a can of Borden’s as a guide. When my texture was nearly the same stiffness (remember your liquid will thicken a little more as it cools), I stopped and poured my milk into sterilized jars. 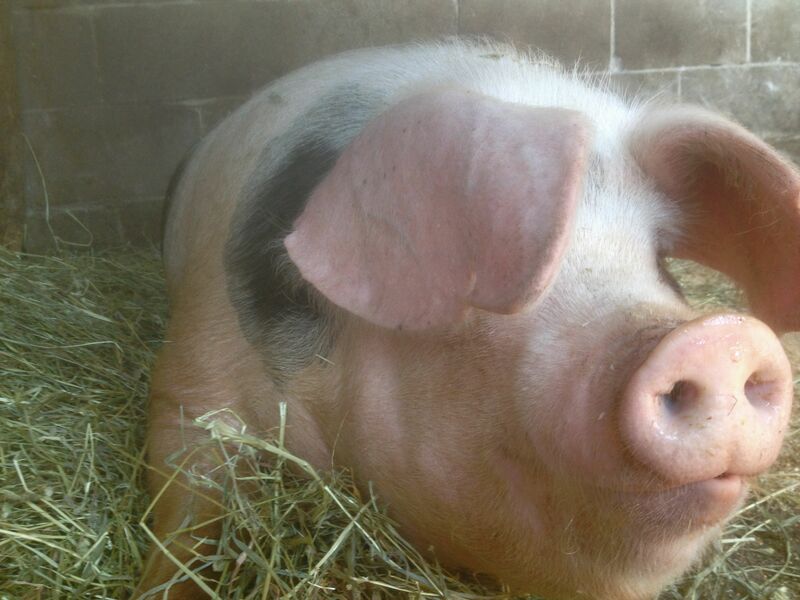 Using a Crock Pot & Thermometer allows you to easily put the process on hold when you have to run out to feed the pigs. 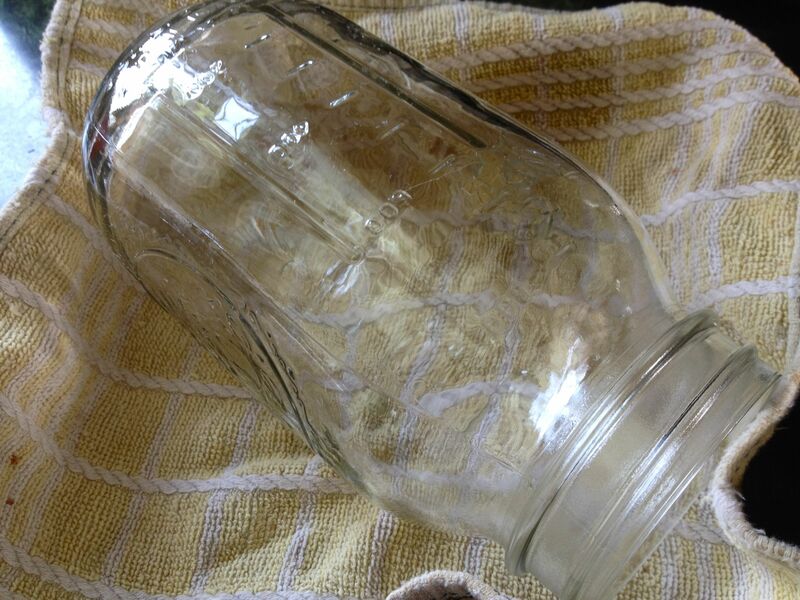 To sterilize jars, simply wash in hot, soapy water, rinse thoroughly, nest in a small baking pan lined with a towel and allow to dry completely in a 250 degree oven. pour warm liquid into warm jar & seal. If you need to put the process on hold while you feed the pigs, grab a bite or get some sleep, simply switch the setting to “keep warm” and cover to stop the reduction process. When you’re back, return the setting to low and remove the lid. It was a little busy around here, so I stretched it over a full 24 hours, taking care to not allow the temperature to go below 150. The result is recipe-ready sweetened condensed milk comparable to store-bought in texture. From a gallon of milk, I ended up with about 40 ounces or a quart and a cup and a half. Since most recipes call for a 14 ounce can, I figure this batch will make five recipes plus some extra for my morning coffee. “Can this be canned?” I know you’re about to ask. Well. You didn’t hear it from me, and you definitely won’t hear if from the USDA, but on old homesteading boards I hear tell of pressure canning at 12 – 15 psi for 13 minutes. Another mention of water bath canning for two hours that supposedly does not affect the flavor of the milk as much. Freezing would be another option to consider. I don’t really know for sure, but I tend to be bold and will probably try pressure canning for myself. What I do know is that it keeps at least two weeks refrigerated. This sounds dangerous, and by dangerous I mean my children might find me in the corner of the sofa with a spoon and a jar of this with my eyes glazed over! Love your GOS pigs. What a photo to end on! She is definitely hoping that you let it boil. You know, I have only one or two recipes that call for sweetened condensed milk so doubt that I would do this BUT I do have a couple of sis-in-laws that I know will be all over this. Love the idea of cardamon and other flavors. Amazing how a spoonful here and a spoonful there adds up to a half-cup before you know it. oh my, this looks amazing!